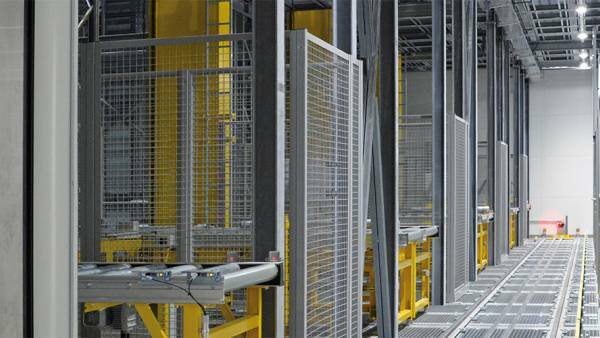 Stöcklin is a supplier and manufacturer of system solutions for fully automated small parts storage and retrieval. 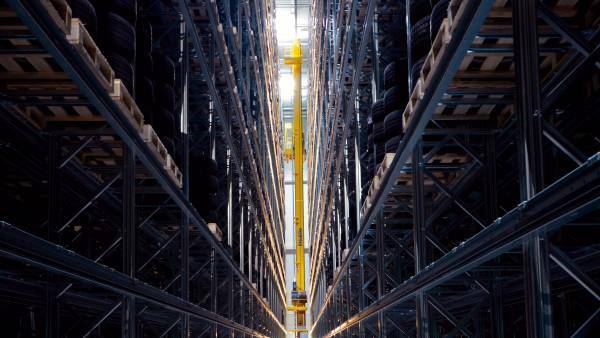 Automated small parts warehouse systems (Miniload) from Stöcklin Logistics have proven themselves in storage and distribution systems as well as in production surroundings. In this case the goods are usually stored in containers or boxes containing one specific type. Trays can also be used for storage of mixed articles. The Stöcklin BOXer series includes variable modules, offering you a complete solution for your automated small parts warehouse. Miniload Cranes from the BOXer series guarantee shortest operation times and maximum handling rates. 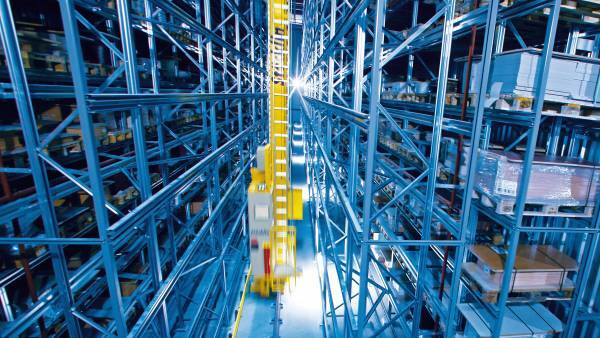 Small parts shelving storage at heights up to 22 meters is optimized by volume. Innovative and consistent implementation of light-weight design with the BOXer has set new standards for energy consumption. The BOXer is suitable for standard containers and pallets, as well as for boxes of different sizes and types. Various load handling devices are available for single station as well as multiple station storage. 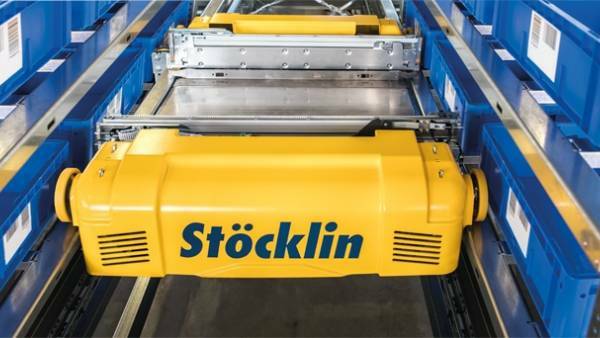 In addition to the classic combination telescopic units, Stöcklin also offers box grippers as well as gripper-type load handling devices. The FSP (Flexible in Storage and Performance) has been designed for a wide range of fields of applications and therefore enables use with a wide variety of carrier types and dimensions. Thanks to the flexible modular structure, the system can be freely designed in terms of storage capacity and overall performance. Furthermore, additional factors such as the shape of the building and ambient temperature are also considered. Because the requirements for intralogistic systems change over the years, later modifications and extensions are essential. We took this into account during the development of FSP. It means you will still have the right system available for future requirements. Last but not least, this guarantees you a high level of investment security as well functionality. 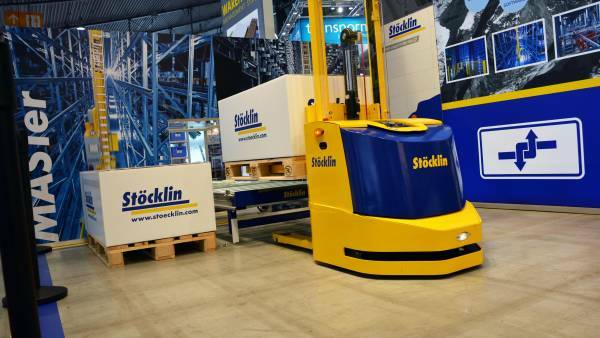 For intra-company material flow, Stöcklin offers a conveyor system capable of moving boxes, containers and other load carriers efficiently and reliably in the horizontal and vertical direction. This conveying equipment with its modular design and capability of expansion at any time forms an important link between production, storage and picking zones and is decisive for quick and reliable operating processes. An intelligent control system connected to high performance warehouse management software provides for dynamic and simultaneously smooth interaction with previous and subsequent horizontal and vertical conveying equipment in the material flow. 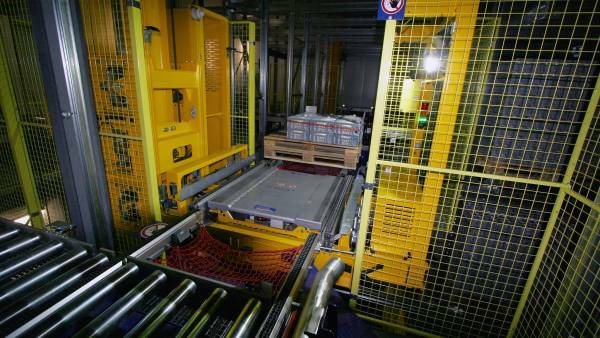 With state-of-the-art equipment for warehouse management systems, Stöcklin offers efficient solutions for picking in manual and automated storage facilities. We can provide picking solutions that will help you reducing costs and offer significant improvements for your picking operation. An ergonomically designed workstation considers the well-being and performance capability of your personnel. In addition to posture, this also takes into consideration noise emissions which we reduce to a minimum. Moreover, we avoid sharp edges as well as pinching and crushing points which could cause injury. Stöcklin helps facilitate the work in your warehouse, with the Stöcklin WMS link to all standard types of picking systems.